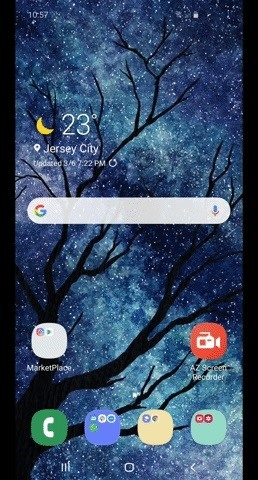 The navigation bar and status bar are not very noticeable on the S10's home screen because they are transparent. The status bar even changes the colors to suit many apps. Unfortunately, you can not say the same for the navigation bar. The navigation bar is still displayed in its old, opaque layout, which requires viewing space when using most apps. In the past, Samsung had the option to hide the navigation bar with a small button on the left side of the bar. 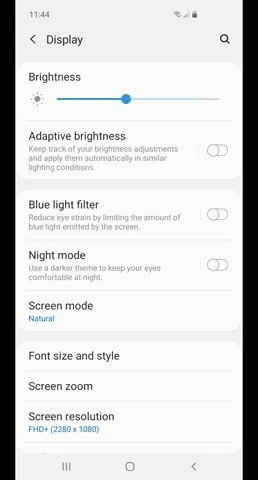 For the S10, this option was abandoned in favor of gesture-based navigation controls. 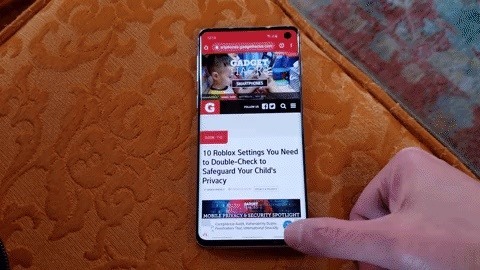 Compared to the traditional navigation bar, the new gestures of your S10 release the screen on the screen and take care of it so for a more intense experience. They are even better than the old method of automatically hiding the navigation bar because the gesture controls override the extra step of touching a button after swiping the navigation bar. Try the new gestures, remove your navigation bar, go to Settings, and choose View. From there, tap "Navigation Bar" and select "Full Screen Gestures" to enable the feature. At the bottom of the screen, you'll see three tabs that tell you where to start the gestures. If you do not want them, disable the "gesture notes" at the bottom of the same menu. Now all you need to do is to move up to the point where you first type. All you have to do is swipe from the bottom left to the top to open the multitasking interface, swipe inward, or swipe right to return. These options are reversed if you change the Order of Keys option in the Navigation Bar menu shown above. Home will still be in the middle, but again on the left and multitasking on the right.